In 1793, James Robertson purchased 640 acres on Bartons Creek from James Campbell, a private in the Revolutionary War. 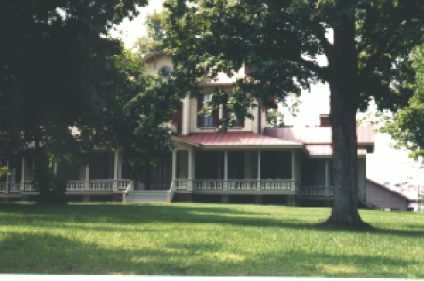 On this tract of land, Robertson built an iron furnace and village and erected the first iron works on Tennessee's frontier. 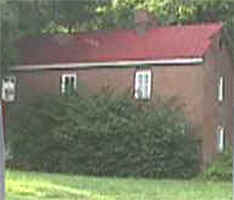 The village, Cumberland Furnace, is the oldest community south of the Cumberland River, between Nashville and Clarksville, and the oldest in Dickson County. for storeage This is the old Railroad Depot. The Railroad tracks have been replaced by Dry Hollow Rd. This building is part of the furnace complex. It originally had three front entrances. 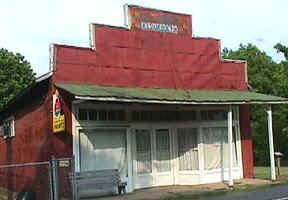 Entrances were used as an office,a company store, and a hotel. This Log Cabin was built for workers of the old Iron Furnace. Built by the affluent Drouillard family in 1868 to 1870. It has been remodeled and is now a Bed and Breakfast Inn. Built as a soda fountain by Henry Hunt in 1920. Purchased by Jesse Daniel about 1927. Building houses a grocery store until about 1961.